Homemade gifts are so cool and so much fun to make! If you also make multiple gifts, they can end up being inexpensive. But most importantly they will be special because they each are unique and the person who you are giving it to will appreciate for sure that you really put some effort into it. I’ve rounded up a list of mostly inexpensive gift ideas for Christmas from some amazing bloggers I follow. I chose most of their projects because they are easy to make. I am personally not pro enough to go into more complex projects. These are things you can prepare without owning a sewing machine or specific tools, which makes them super approachable to basically anyone. You will need a printer in some cases if you want to take advantage of the beautiful labels that some bloggers generously offer for free, but you can always keep it super simple. 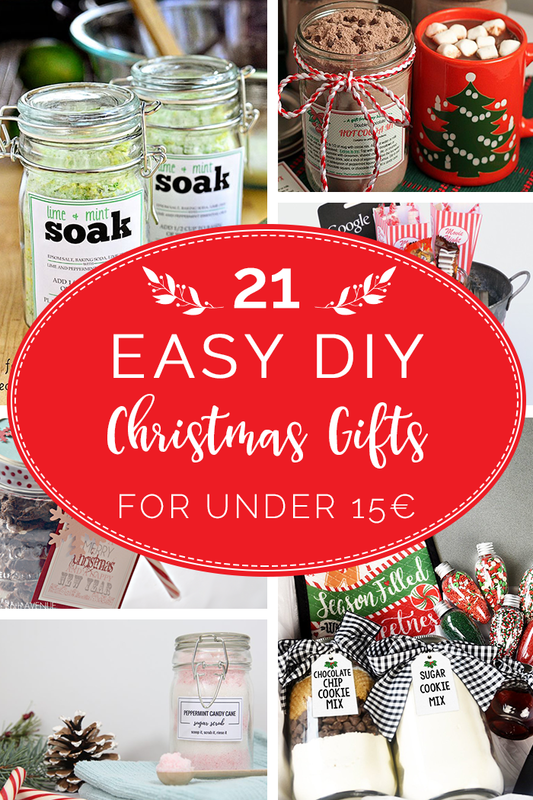 My husband and I have decided this year to start a tradition and keep an average budget of 15 Euros per gift / per person (more about this here) and I believe most of the gifts selected qualify into our budget as well, so I will keep a close eye on what we will do next for our friends and family.